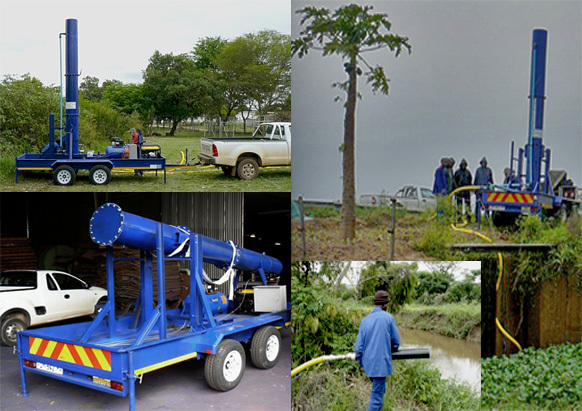 AguaVert is a patented water treatment system, primarily designed for medium to large scale water purification needs. AguaVert produces 650 gallons to millions of gallons per hour of clarified water. As either a manually operated or automated system, AguaVert can meet your water purification needs. 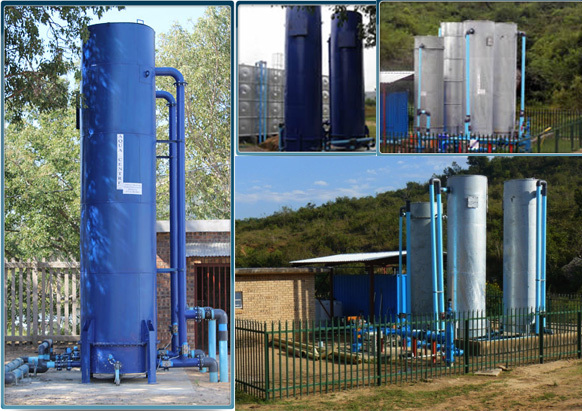 The filtration system is innovative, in that it provides a cost effective, fast build-out and modular scalability for water purification. Whether it be for, potable water purification, wastewater recycling, cooling tower bypass filtration, AguaVert can meet a number of filtration needs. Remote water filtration system allows for a water filtration trailer option available for disaster recovery water treatment, emergency water filtration and military water filtration applications. AguaVert is a modular system that can be scaled up simply by adding units in series or in parallel. In addition to the ability to scale, various filter sizes are available to meet your capacity requirements. In contrast to traditional large volume sand filtration systems, AguaVert requires far less initial capital outlay and capacity planning for future demand, simply add new units as and when demand increases. As with legacy sand filtration systems, the media used in AguaVert is inert, this allows for the backwash cycle to be repeated for years without the need for media replacement. AguaVert decreases your operational costs through automation of the backwash cycle, reduction of labor such as day-to-day supervision, and limited to no system maintenance. All that is required is infrequent monitoring and adjustment of cycle times to the quality of the input water. With larger plants we have seen a reduction of staff needed from three down to one person. Automation is controlled by a programmable control board that cycles a unit, or a number of units, using standard pneumatic or electric valves and switches. Cycle stage times are short, minutes rather than hours and can easily be adjusted via the control board to meet your clarification requirements. In addition, with the AguaVert system, you can change the configuration of units to meet your dynamic water filtration requirements. For example, if you have an installation set up in a series, you can easily turn off one unit or change this to a parallel process.. All times are adjustable. AguaVert was designed for the developing world. The system was designed to be locally sustainable where parts are replaceable and available with off-the-shelf components. This simplified system allows for easy and cost effective maintenance. Ancillaries such as compressor, dosing pumps and valves and other parts are all readily available for normal wear and tear replacement. The media used for filtration, is non-active media, lasts for many years and is relatively inexpensive to replace. For example, one unit has been operating for five years, requiring the media to be cleaned only once simply by flushing it with peroxide and commencing a backwash cycle. Having multiple units allows for maintenance or back-washing to be carried out without stopping the system. For maintenance this is done using the control board by simply taking one unit offline while the other units continue their normal cycle. For backwash the control board automates this procedure in series to allow for an uninterrupted flow.